Food is appropriate for infants' individual nutrition requirements and developmental stages as determined by written instructions obtained from the child's parent. 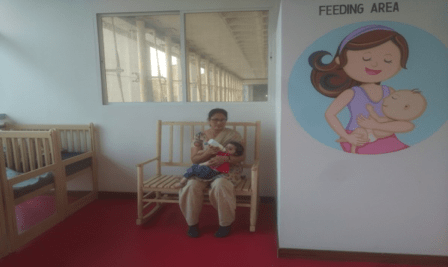 Parents are required to meet the Centre Head and Infant Nurse to discuss the child’s food program. The YKROK centre encourages and support breastfeeding. YKROK centre has a designated place set aside for breastfeeding mothers who want to come during work to breastfeed. The centre will offer solid foods and fruits to infants 6 months of age and younger only upon the recommendation of the parent. In consultation with the child's parent, solid foods will be introduced routinely at no sooner than 6 months of age, as indicated by an individual child's nutritional and developmental needs. 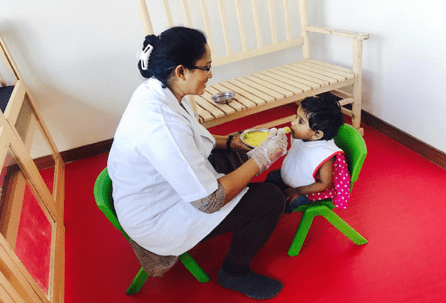 Introduction of solids and fruits for breastfed infants need to be started at six months of age unless the parent specifically recommends otherwise. Modification of basic food patterns need to be provided in writing by the child's parents.